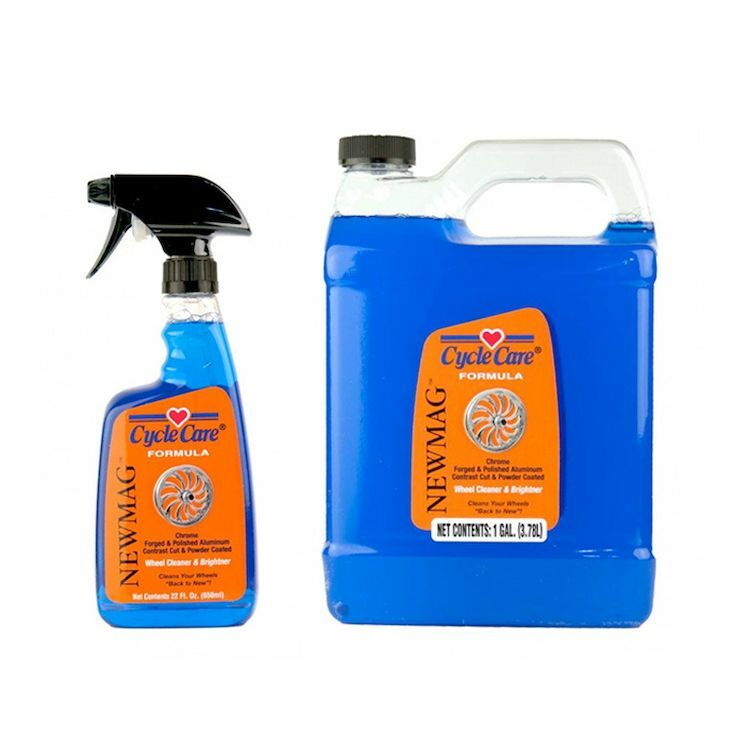 Cycle Care Formula NEWMAG cleans brake dust from areas that are immoveable and unreachable with ordinary wheel cleaners, towels or brushes. NEWMAG is safe for and beautifully cleans all magnesium, chrome, forged aluminum, polished aluminum and powder-coated wheels. This product returns your wheels "back to new".